Xtreme Racing Center’s Sodi high-speed European racing karts, as seen on ESPN, FOX Sports, and Speed Network, are the fastest karts in Pigeon Forge! 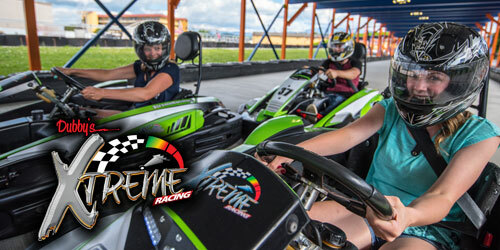 Get your race on only at Xtreme Racing Center! No drivers license required for this exhilarating racing experience. 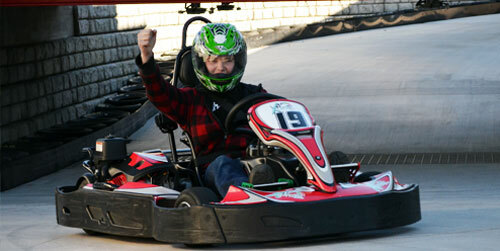 At Xtreme Racing Center in Pigeon Forge, we are dedicated to bringing guests the best Pigeon Forge go kart experience. That is why we give guests their choice of three thrilling race courses! Totalling 3,500 linear feet, our ‘Xtreme’ track is filled with winding turns, narrow straightaways and thrilling adventure as guests race inside one of our professional-grade Sodi GT-5 go karts. 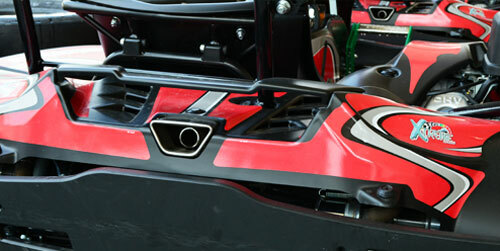 These karts are sure to create a memorable ride for all who visit. Think that was exciting? In our combo run, guests get to experience the same track as the GT-5, but in reverse in one of our innovative RT-8 professional racing karts. Placed in order from the previous race, drivers tackle the same course as before, but the change in direction creates a whole new experience. Not to mention the speed! 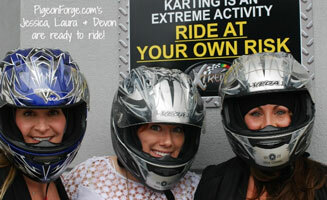 This makes the second course a truly thrilling ride for all drivers! 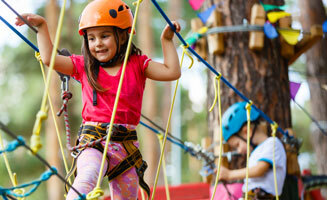 Xtreme Racing Center also offers guests a thrilling 1,500 foot elevated track. Here guests will zip past one another through twists and turns on our smooth paved track. 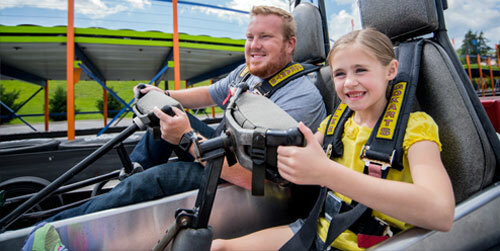 Drivers have their choice of a single kart or a double kart, allowing for go kart lovers of all ages to experience the extreme thrills of Xtreme Racing Center in Pigeon Forge. 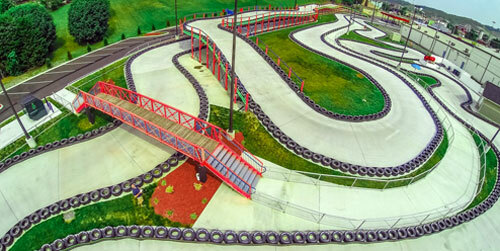 Whether you choose one of our Xtreme races, or test your skills on our elevated track, guests to Xtreme Racing Center in Pigeon Forge are sure to have a Pigeon Forge go kart experience like never before!